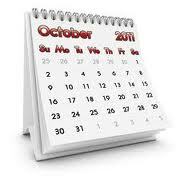 The Toronto Real Estate Board reported 7,642 home sales through the TorontoMLS® in October 2011. This represented an increase of 17.5 per cent compared to the 6,504 transactions reported in October 2010. The average selling price through the TorontoMLS® in October was $478,137 – up eight per cent compared to October 2010.